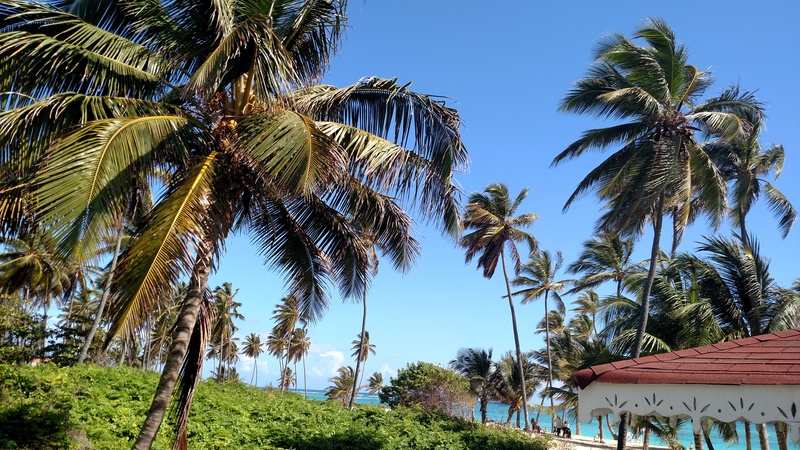 Last April, my husband and I took a way overdue ‘Adult Mini-Vaca’ to the Dominican Republic with several other couples. Our 18 year old daughter offered to stay with the 9 and 4 year olds during our 5-day trip. Even though my oldest sometimes lacks in the common sense department, by this time Alaina had been living in her own apartment for 5 months, and we figured if she was able to take care of herself and keep her cat alive for that long, then a couple of mostly self-sufficient kids shouldn’t be an issue. Regardless, my neurosis required me to come up with a “Do/Don’t Do” list for the kids to follow while we were gone. Your mom worries. A lot. Please abide by these simple rules to appease me and keep all of my babies safe while we are out of the country. Please limit the amount of driving. I do not want you guys driving to the city, and I would rather you just stuck around the area. Ensure ALL of you are buckled up tight, in car seats (if applicable – yes James, this means you too), and be aware of your surroundings. Drive defensively and watch for idiots. We bought you all of your favorite garbage foods for when we are gone. Our vacation is your vacation, so no “dirt meatballs” and “avocado egg salad”. Enjoy your Kid Cuisines, chicken nuggets, mac and cheese, ice cream, etc. Even though we aren’t home, and you will be eating garbage, please use your manners – eat at the dinner table; no running around and playing while eating. Bad table manners leads to food being sucked down airways, which can lead to death. (See attached handout in case of choking). If the Heimlich Maneuver is performed, please go immediately to the ER to verify no internal damage has occurred. Do not take Xena to the park – while she is in heat, being around other dogs is a BAD, BAD IDEA. She must wear her diaper and sleep in the laundry room. I do not want to come home to bedspreads and rugs ruined because of doggy period blood. DO NOT SHOCK THE DOG. The collar is meant for noise or vibration only IF she escapes from the back yard. Keep an eye on her at all times. She is trying to mate and will escape if given the opportunity. Please make sure that her food and water bowls are full at all times. Be respectful of each other. No pushing, hitting, shoving, scratching, biting, spitting on, punching, slapping, tripping, squeezing (unless in a hug), glaring, yelling, arguing, name-calling, or any other mean actions that I may have forgotten about. Take care of each other. Share. We have left some cash for “fun”. Order pizza, go see a movie, go to the arcade, get Sno-Cones, hot cocoa at Dunkin, Subway for a picnic, whatever. But again, please stay within the local area. Kenzie must get a bath and her hair washed at a minimum of TWO times while we are gone. James, since he will be playing baseball, a minimum of FOUR. In the event of inclement weather, assume the position in the back downstairs bedroom. The tornado kit and blankets are in the closet. Close all front windows at night, and keep the doors locked at all times. If you do not know who is at the door (other than a pizza delivery) DO NOT OPEN THE DOOR. If you are scared, call 911. To the older two… Keep a close eye on MacKenzie – she likes to microwave things that aren’t supposed to be microwaved. She likes to take things that are not hers and put them in her “stealing drawer”. She likes to go outside by herself and contemplate life, overlooking the pool. She likes to go out to the garage and tinker with her dad’s tools. She likes to stick things into the power outlet. She is fast and she is ruthless. You are warned. Last, but not least, enjoy each other’s company!! You don’t get to do this very often so make the best of these few days. I will miss you more than anything and love you all very, very much. I love your posts Cari! Sometimes I’m just living vicariously through you!!! This is fantastic! So many things I wouldn’t even think of to leave as an instruction. But I’m not a parent, so I guess my mind just doesn’t go there. Thank you for the kind words! Unfortunately, parenting mixed with anxiety causes a plethora of “what if” situations in my brain. These were all all possible scenarios and avoidance tactics that had been played out in my mind in the weeks leading up to the vacation. You hit the nail on the head – MacKenzie IS quite the firecracker, lol. You’ve outdone yourself with this one. I remember you talking about these rules, but I don’t think I ever got to see them until now. Doggy period blood?…..as if period blood wasn’t disgusting enough lol. My favorite part….the kids being allowed to eat regular food!! That in itself made this an awesome Mom vacation lol.